At the School of Information, we are committed to making a difference in the lives of citizens by enabling and supporting the curation, organization and experience of information in ways that enhance lives. A Master of Science in Identity Management and Security degree program training new professionals in the fast-growing and critical areas of identity management, security, and privacy. Information Science is a STEM discipline and career opportunities for information professionals are constantly increasing in number. 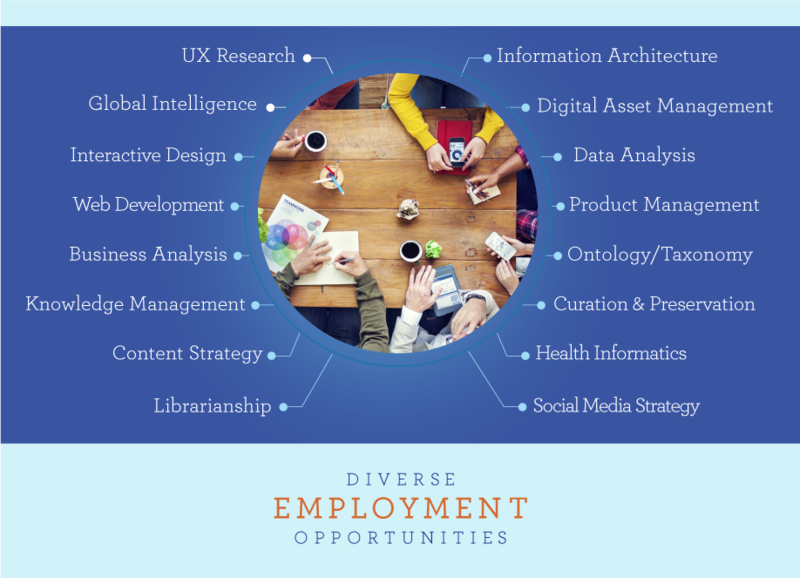 In addition to research and teaching, they include thousands of positions as information providers, information managers, information system designers and creators, and information policy experts. Many positions have well-developed legacies and traditions from the past (for example, archival work; academic, public, school and special librarianship; museum work; preservation and conservation; records management); many have been created during the past two decades (digital information system design, creation and management, multimedia production, information architecture and usability, information policy); and many (yet unnamed) will come into existence through the natural evolution of social structures and technological advances. Careers of these kinds occur in both private and public realms, in for-profit and not-for-profit environments, in entrepreneurial development and social service, and in virtually every known field of study. At the School of Information, we are committed to making a difference in the lives of citizens by shaping information realities that are accessible, useful, usable, and sustainable.